I’ve been busy in my tatami room again working on completing pieces for the Tokyo Spidering 東京クローラ exhibition at Hagiso Gallery next month. I have been using simple embroidery floss to sketch my final designs on the cotton canvas of my hanging scrolls. 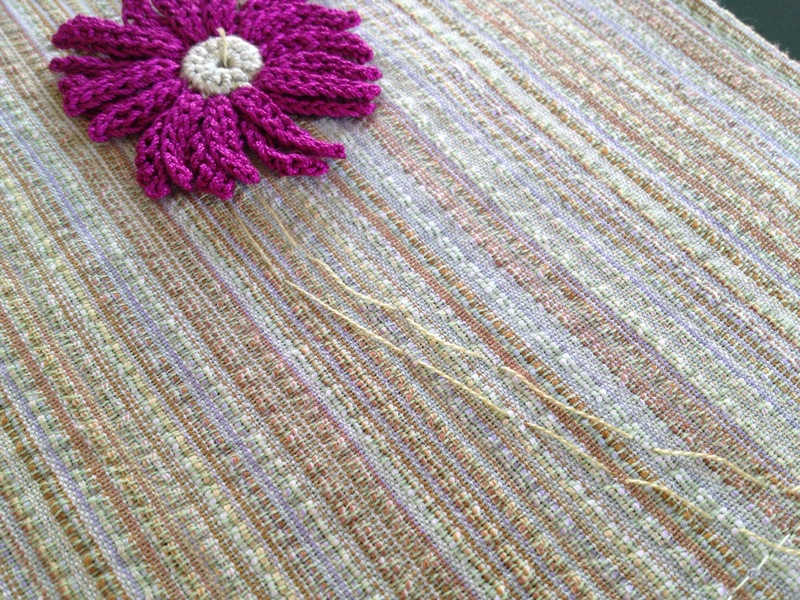 By using a running stitch with unknotted thread as quick and easy sketch lines they will stay for as long as I need. This way I don’t need to worry about removing any kinds of marks on the fabric and leaves the design open for me to free-hand embroider as I go. 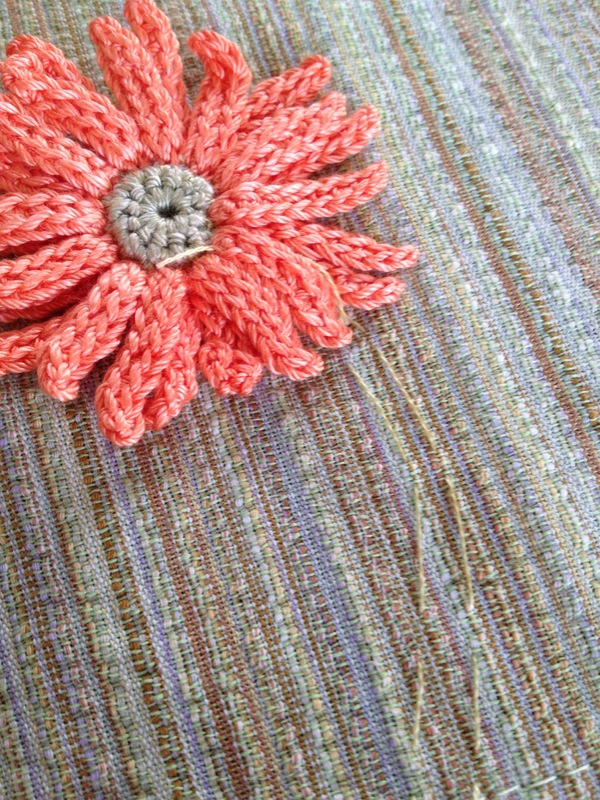 Permanently attaching the hand crocheted flower as a starting point, then sketching the strong green stem which is designed using various shades of embroidery threads. When the free-hand embroidery work is done I can easily pull the unknotted sketching thread out of the piece without any damage to the fabric. Starting Oct 16, 2013 my Four Seasons Collection will be shown at Hagiso Gallery in Tokyo. 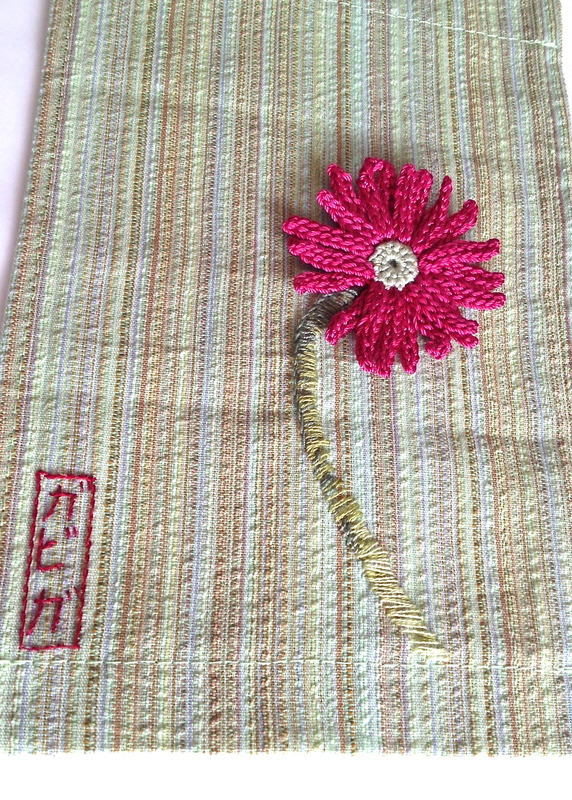 Shidarezakura – Look Mom, No Embroidery Hoop!